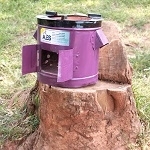 Last month, our cookstove manufacturing partners in Uganda sold 2,194 units. Each stove will benefit a household of 5 (on average) which means about 10,970 people will benefit directly and indirectly from reduced indoor smoke and reduced energy costs. Each stove saves the average household $100 per year, and collectively, these stoves will save users $219,400 and avoid over 3,101 tons of CO2 over the next 12 months. These stoves will avoid the burning of 844 tons of charcoal in the next 12 months, which is the equivalent of avoiding the felling of about 25,719 trees in Uganda. 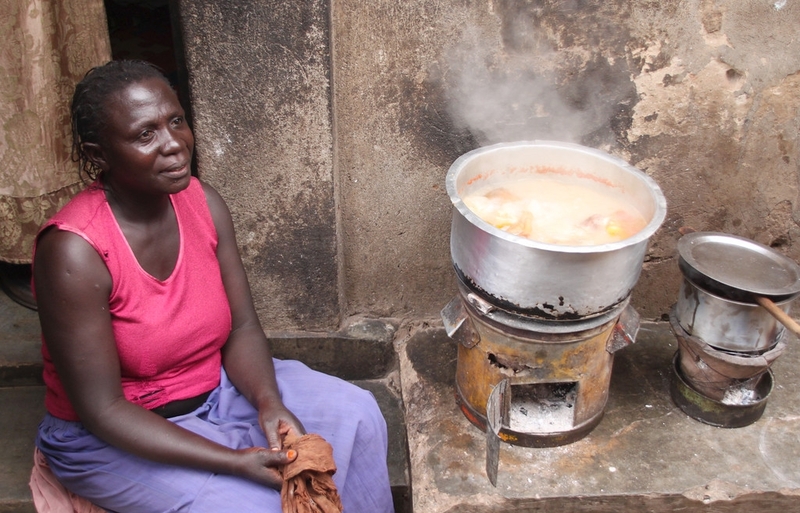 KAMPALA, UGANDA – Mama Dianah has owned three cookstoves since 2009 and prepares meals for her family of 12 every day. She also uses the stoves to cook cow hooves every day that she sells in the local market. Mama Dianah attributes her business growth to using improved cookstoves since she is able to use less fuel and save daily. Mama has no regrets in purchasing improved cook stoves and vows to never to use traditional methods of cooking now that she knows the benefits of using improved cookstoves. Sulaina Nanyonjo has been using the same improved cookstove every day since 2006. And 6 days of the week, she prepares about 2,000 samosa that go to two schools for mid-day lunches. Currently she pays about 3,000 UGX or $1 per day on charcoal which is about half of what she used to pay using traditional stoves.Commenting about her stove purchase, “The improved cook stove has saved me from smoke and has made my family better.” says Sulaina. Adrine has been in business for the last 5 years. Since starting she has been using her UgaStove improved cook stove to prepare food for 25 people daily (Matooke, potatoes, beans, meat). Adrine says that she still saves at least half the cost of the charcoal using her improved cook stoves. “I used to spend 7,000 Shillings ($2.30) everyday on charcoal, but with these stoves I spend half of that amount,” she comments about her daily expenses. Working in cramped conditions, Adrine likes how the stoves don’t give off much heat making it bearable to cook more in her little restaurant. Ruth is a single mother who supports her family by cooking cow hooves which she sells at a street stall. 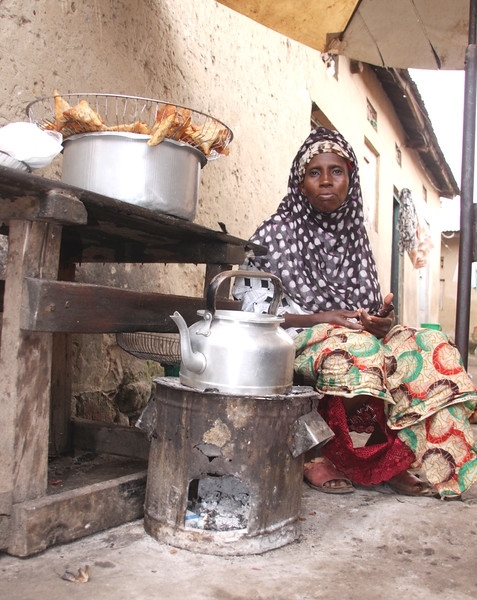 She’s been cooking for the last nine years but only started using her UgaStove in 2009 when the founder of UgaStove, the late Kawere presented her with a stove. 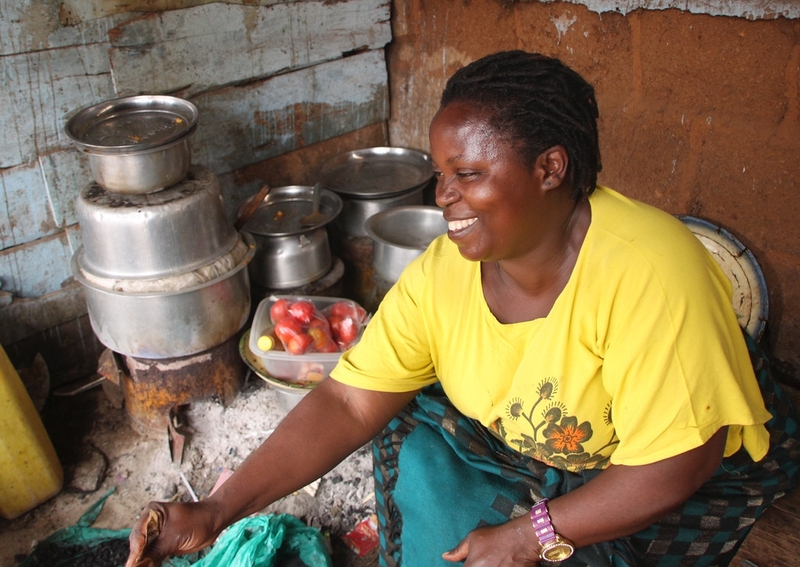 Since then Ruth says she will always use an improved cookstove because of the fuel savings.